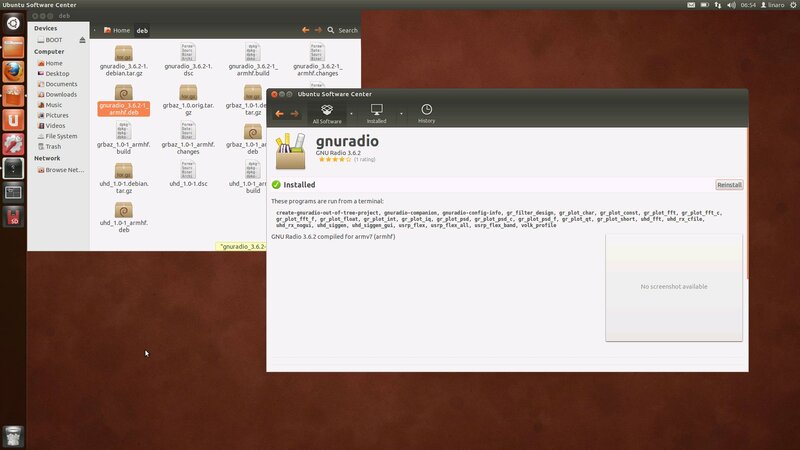 It has been created two debian packages to install GNU Radio and UHD software (to support USRP devices). 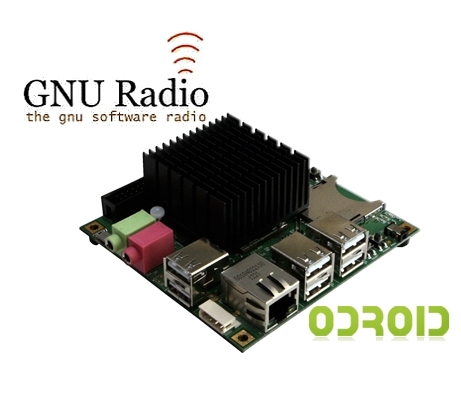 The compiled version of gnuradio includes the following components: python-support, testing-support, volk, doxygen, gruel, gnuradio-core, gnuradio-companion, gr-fft, gr-filter, gr-atsc, gr-audio, gr-digital, gr-noaa, gr-pager, gr-qtgui, gr-trellis, gr-uhd, gr-utils, gr-video-sdl, gr-vocoder, gr-fcd, gr-wavelet, gr-wxgui. 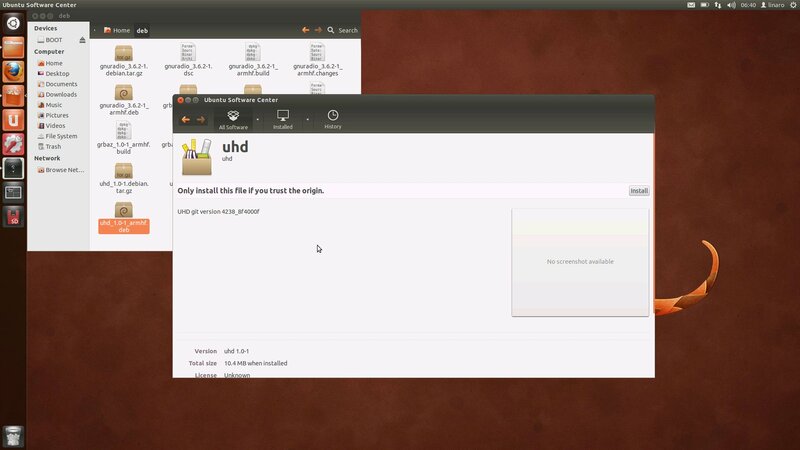 The Ubuntu 12.10 (Linaro) images used are downloadable from Hardkernel’s server or mirrors. You can find them here. and create the SD card following this guide. Copy them on the board. The first package to install is uhd_1.0-1_armhf.deb, open the file browser window and click it. It will be opened with Ubuntu Software Center., select “install” button. All dependencies will be automatically installed. 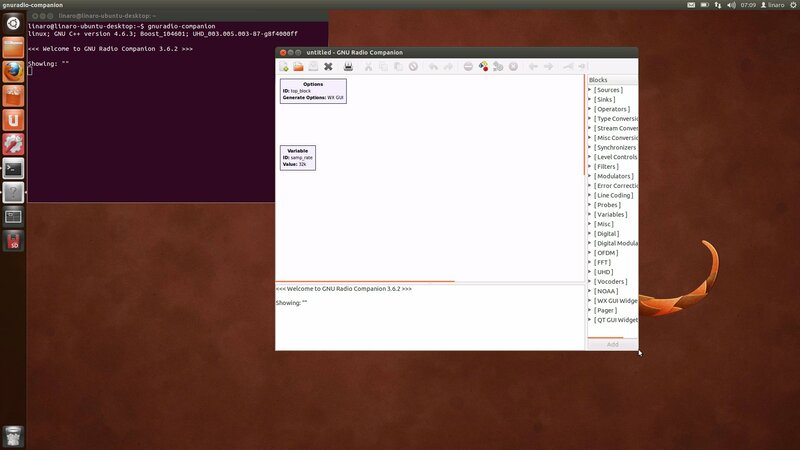 Click now the gnuradio_3.6.2-1_armhf.deb package and install it. My name is Guy from Belgium. I followed your procedure, and it is working well. but i have 1 strange issue. when i connect my ettus n210 source to a fft sink, the sink has a very very long delay. i test this with my own portable tranceiver. it takes very long until i see my own signal… (minutes) what can be the reason of this? I’m building a radio telescope and this could get very handy! With a bit of luck I can use the X2 to capture and handle all the data. Let’s hope I can get it working.. Thanks in advance!